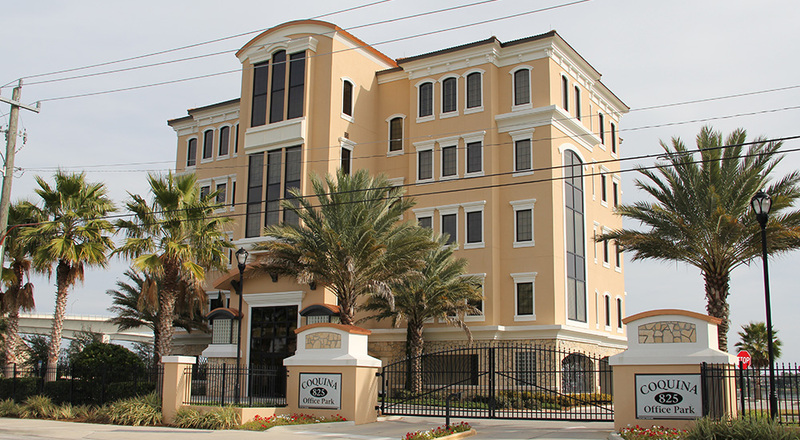 Coleman Goodemote Construction completed the construction of Coquina Office Park for client White River Development in 2010. Work completed consists of complete site development, concrete foundations and slab-on-grade, stucco over masonry exterior walls, hollow core/structural steel frame and build-out of interior space to accommodate the Owner’s executive offices and other lease spaces. © 2014 Coleman Goodemote Construction, Inc.